Santorini is connected to Tinos with daily itineraries during the summer season. The duration of the Santorini - Tinos ferry trip depends on the type of ferry that you choose to travel with. Indicatively, the high speed ferries take approximately 3 hours to get from Santorini to Tinos while the conventional ferries take a bit more than 5 hours. The ferry ticket prices start from 42€ (based on 2019 data). How long is the ferry ride from Santorini to Tinos? Santorini is located 129 km (80 miles) away from Tinos so the ferry trip ranges from 3 hours to 5 hours depending on the type of vessel that you travel with. The port of Santorini that serves all ferry routes and ferry connections to Piraeus, Crete, the Cyclades or the Dodekanese islands is the port of Athinios. Athinios port is located in the west side of the island and the locals often call it ‘new port’ to distinguish it from the old harbour of Fira that does not serve passenger ferries. You can find more useful information about the port of Athinios in Santorini, in our relevant blog post. How often do ferries depart from Santorini to Tinos? From May until October there is at least one direct ferry per day connecting Santorini with Tinos. In both summer and winter months you can also reach Tinos from Santorini every day via the island of Mykonos. You can find more information about the Santorini - Mykonos ferry route here. The port of Santorini can get very busy, particularly during the summer season, so we would suggest that you plan to arrive at least 45 minutes in advance of your ferry departure. There is often traffic to the roads around the port and it might be the case that more than one ferries arrive or depart at the same time. If you wish to travel with your car or motorbike from Santorini to Tinos it would be good to book your tickets in advance as the vehicle tickets sell out quite fast, particularly in the summer. During the summer months the weather in the Aegean sea can get quite windy, so the ferry trips might also get bumpy. There is nothing to worry about, and if you get a bit seasick you can try staying a bit longer at the deck for some fresh air or if this doesn’t work you can ask the ferry crew for some seasickness pills. If you visit Tinos for a day or two we would recommend that you rent a car and drive around the island as it has beautiful villages and beaches to explore. From Tinos you can get cheap ferry tickets to the neighbouring islands of Mykonos, Andros, or Syros while the ferry ride from Tinos to these islands can be from 30 minutes to 1hour and 30 minutes. During the summer months there are ferry connections from Tinos to Naxos, Paros and Sifnos! 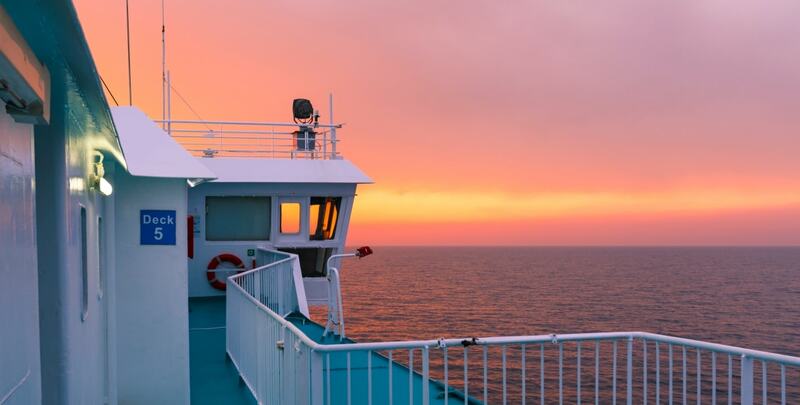 Check our Ferry Map and find all the ferry connections and ferry schedules from Tinos and book your tickets fast and easy. You are only few clicks away from island hopping in the beautiful Cyclades, don’t miss your chance!